Today's post is a little different but very fitting for this time of year. As you all will know, Christmas is fast approaching and all around us we are reminded of all the traditional merriment, plenty food, warmth, family and the giving (and receiving) of gifts. For me, the giving of gifts is what makes my Christmas perfect, that moment of satisfaction when you know that you have given someone a wonderful present you know they will love. Alongside this gifting is the charitable donations many of us make around this time of year, after-all, it would seem a little immoral not to think of those less fortunate than ourselves during a season of such happiness and giving, that being said, with the website ''Gift and Befriend' you can combine helping those less fortunate than yourself with a gift you know they will love as they have chosen it themselves! Gift and Befriend is a website set up to provide less fortunate people all around the world with their perfect gifts using an amazon wish list, in a nutshell, you choose a recipient from one of the many profiles on the site and after looking at their pictures and videos, purchase one (or more) of the items from their amazon wish lists, these items often contain items like school books, clothes, household items etc. Once purchased, Amazon will deliver the parcel to the person direct (or to an address they have chosen) so you don't have to worry about postage etc. Membership is free and there are no admin costs so every penny you spend goes to your chosen recipient. Esha is 19 years old and has a small son, Esha was sponsored through education but unfortunately the sponsor died before her education was complete leaving her with no other option but return to poverty, she struggles to feed and dress herself and her son. Esha is just one of many on this website, all with their own stories to tell. I hope you found this post interesting and had a look at the page, make sure you tell your friends and spread the word about this webpage, especially during this festive season! Today we have a little review post of the Lash-Gro Eyeliner by Colorsport. It's no secret that I am a bit of an eyeliner lover, it was one of the very first items of makeup I ever tried (just behind eyeshadow which was my gateway cosmetic...) and so I an always on the look out for different types, colours and applicators. Enter Colorsport Lash-Gro, an eyeliner with an eyelash serum incorporated into the formula. This formula claims to give the lashes a fuller look in 4-8 weeks. I already have quite full eyelashes anyway so I can't comment there but using the actual eyeliner is a breeze, with it's long handle that is easy to grip, achieving a fine line is relatively easy, the formula is very wet which means that you can easily draw a cat-eye or dramatic line look in one swoop with no tugging on the delicate eye area (tugging is a no no!) but it does also mean that you have to wait a couple of moments for your eyeliner to dry if you want to avoid smudging. Wear time is decent with me getting a full day out of this eyeliner, however, accidental eye rubbing can smudge the liner on me, but I do tend to get oily lids when I wear a heavier eye look so if you have dryer lids this might not be an issue for you. You can pick up this eyeliner from Boots or you can also find it on Amazon or Ebay and other beauty websites. Today I'm showing you a couple of sale picks I made from the recent Joe Browns summer sale. If you aren't familiar with Joe Browns they are an amazing clothing brand that take inspiration from all over the world in their gorgeous unique collections, I've been a fan of Joe Browns for around 10 years when I spent my first wages I ever earned buying a black V-neck top with a cross on a chain looped around the neckline, I was trying to emulate Angelina Jolie at the time, moving on to today, I no longer fancy myself as a tough type and today I but very different clothes but my love for Joe Browns hasn't left. I saw this beautiful cardigan and couldn't resist. I love the bright flower print over a classic duck egg blue background. It is eye catching and that's what I love about it. This camisole caught my eye with its vibrancy, it is just beautiful and looks stunning on, I tend to keep the rest of my outfit very plain with this cami so that it doesn't become colour and print overload but this is going to be worn to death. I love this tunic for casual laid back days, it is as easy to throw on piece and has gorgeous bead detailing. It is very unique and has nice little side pockets too. Finally I bought this pretty scarf as it is getting into slightly more autumnal weather meaning it is time for me to pull out the scarves to wear with cardigans and jumpers and I love the girly print on this piece, I think it is a perfect summer/autumn transitional piece. What do you think? Do you shop at Joe Browns? Back with another Makeup Revolution Review today, they really are the brand of the moment and I've not been able to resist a few key pieces from their website, they are just so well priced for the quality that you get! So today I'm showing you the Ultra Blush Palette called Sugar and Spice. Containing 8 powders, a mix of mat and shimmer, this palette is a nice little investment, all the colours are easy to blend and pretty pigmented - with the exception of the highlight shade on the top row which packs less pigmentation than the rest of the palette, however, being a highlight shade, too much pigmentation could result in a very shimmery finish that wouldn't be suitable for day to day wear and so this pigmentation issue might actually be intentional. The colours are excellent on their own or can be layered to create the look you are going for. Although this claims to be a contour palette I personally don't like to contour with blush colours as I don't think it suits me, I prefer a matte Bronzer, but as a blush and highlight palette this little beauty is a winner for me and for only £6, it is an absolute steal! The below swatches are one swipe, dry and not using a primer. First is top row and the second is bottom row. Do you have anything from this brand? Will you be picking up this palette? Be prepared - there's a lot of pictures! I love everything about this duo, easy to wear, easy to blend, the colours are spot on for me and the packaging is nice and sleek. At £3.95 it is an incredible deal and I use this most days. I also love it so much that I bought it again to pop into a 'makeup starter kit' I put together for a friend. If you don't have this in your stash then you need it... Right now. Next is 'Skin Base Lift Concealer in White Light' from Illamasqua. As you can see from the picture this product is well used (may look a little grubby but that is because I use it for contouring and the colours get swooshed together). At £17.50 a go, this isn't a cheap option but for me there is nothing else I've tried ever that matches this product for a Kim Kardashian style contour. Not an everyday product for me but I pull this out whenever I'm going for a full face of makeup to get that wow factor. Next we have Mary Lou Manizer Luminizer from The Balm. This is my go-to daily highlighter at the moment, it just gives the most beautiful finish and is subtle enough for daily wear. I also use it on my collar bone, the bridge of my nose and as an eyeshadow, a browbone highlight and an inner corner brightener. It may not be the cheapest at £16.00 but it is multi use and just plain old gorgeous. Again this product is not cheap, at £15.00 for an eyeliner you may be forgiven for thinking I've lost my mind, however, this eyeliner does everything you would want your eyeliner to do, it glides on so easily without any pulling, tugging or scratching *shudders* at your eye. The colour is second to none with the colour 'Perversion' being the blackest black I've ever tried. It stays on all day, and I mean all day with me pulling a 12 hour work shift without reapplying and it was still there. Hands down the best eyeliner ever. Now we have the Hourglass Ambient Lighting Palette, this is yet another very indulgent buy at £56.00 for 3 powders you may be forgiven for think I'm out of my tiny mind, however this was a present so really.... It was free right? It is amazing though, I use the middle powder to set my concealer, the darkest powder I use to very slightly add a contour to my face and the final powder to add colour to the apples of my cheeks. It's so subtle you can't detect it on your face but you just look like a fresher version of you. Next we have an item I've repurchased several times over the years, Erase Paste Concealer from Benefit. This is pretty similar to the Bobbi Brown correctors people rave over but personally I prefer this one from benefit. It costs £20.50 but as you only need a teeny bit it lasts months and months. It blocks out your dark circles and brightens the under eye area, I either wear this alone (set with my hourglass powder) or I layer it under a heavy duty yellow toned concealer. Finally for makeup items we have Rêve de Miel lip balm from Nuxe. This is hands down the most nourishing lip balm I've ever used and although it can be a tad heavy for daily use, I always pop this on before bed and it keeps my normally dry and chapped lips perfectly hydrated and smooth. The texture is very thick and can take a whole to get used to but once you have got used to the feeling, it becomes a must have and this is my 3rd jar now. I hope you enjoyed this post, what are your must have items? 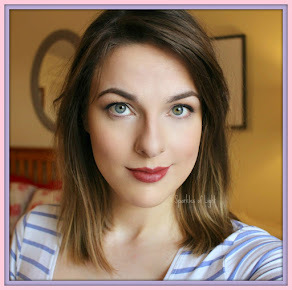 Today I'm showing you a little Makeup Revolution review. I'm sure by now you're no stranger to the Makeup Revolution brand - I have featured them before on this blog and as I was so impressed last time, I couldn't resist trying more products from their extensive range. This time I had a little look at their 'I Heart Makeup' range, which carries a heavier price tag than the normal range but remains extremely affordable. I was drawn to this baked blush due to it's striking similarity to the 'Sweetheart Blush' by Too Faced, however, the Too Faced offering costs a staggering £24.99 whereas this little beauty cost a mere £4.99 - it's a no brainer which one I would choose to try out. The packaging is really cute, I love the hot pink box in a heart shape, it would look pretty on display which is something I like. I know some people have found the packaging to be bulky but bulky doesn't bother me if it is pretty. The baked blush itself has three colours that you can single out and use separately if you prefer, or like me you can just swirl your brush over all three and get a combo colour. Peachy Keen is highly shimmery but wearable, if you aren't into a glowy look then this is not the blusher for you, it highlights as well as adding colour but the result is beautiful as opposed to the 'disco ball' look some baked blushers tarnish you with. Overall I would highly recommend this little beauty to you, it wears well for around 6 hours on me and is a nice change from my usual 'bronze, blush, highlight' routine for summer. You can pick up 'Peachy Keen' by clicking on the link. Have you tried these blushes? Do you have anything else from this brand you would recommend?